How can we create an enhanced, sustainable urban environment? How can landscape design encourage people to walk, cycle and use public transport? What are the practical challenges of integrating trees into a hard landscape? The LI has organised two afternoon CPD training sessions in June to explore the latest research and highlight best practice in the use of trees to tackle these issues. Sessions will draw on guidance published in ‘Trees in Hard Landscapes: A Guide for Delivery’ by the Trees and Design Action Group (TDAG). Seminar one, on 15 June, is entitled ‘From Roads to safer, Better streets – using trees to empower sustainable transport solutions’. 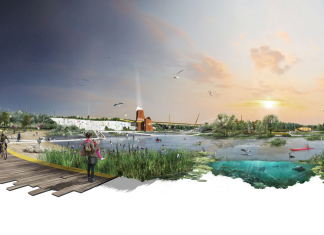 Speakers include Rupert Bentley-Walls, director of EcoArb; Anne Jaluzot, green-infrastructure planning consultant; Paul Morris, senior associate at Civic Engineers; and professor lan Simson of Leeds Metropolitan University. The event will be chaired by Robert Huxford, director of Urban Design Group. 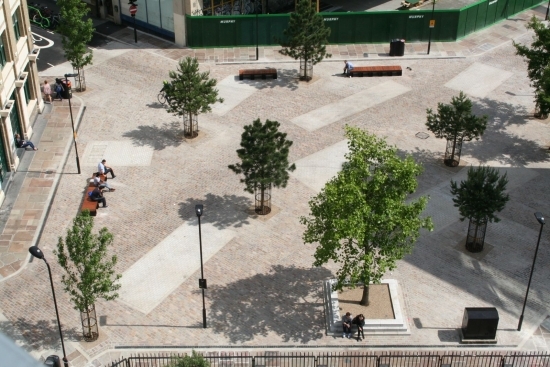 Seminar two, on 22 June, focuses on the contribution of trees to SuDS schemes in the public realm. Speakers include Owen Davies, flood risk manager for the Royal Borough of Greenwich; Martin Gammie, director of Consulting with Trees; Anne Jaluzot; and Stephen O’Malley, director of Civic Engineers. Sessions will take place in the Marshalls Design Space in Clerkenwell, London. Tickets cost from £90 per session for LI members, with concessions available.